Forty years ago, I left the Royal College of Music in London, the first Graduate in recorder. Young, fresh faced and enthusiastic, I was ready to revolutionise the world of the recorder, to get it taken seriously, to get it recognised as the beautiful and historic instrument that it is. How was I going to achieve this? By teaching people to play the recorder properly. It never really struck me at the time just how ill equipped I was for this task. 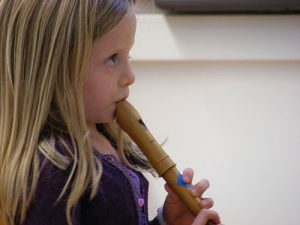 I had been taught to play the recorder, the nuances of baroque ornamentation, a thousand other techniques and details, but, curiously, no-one had thought to teach me how to teach. All I had to go on was my own singular experience of being taught to play myself. Every year thousands of music students leave music colleges across the land to find themselves a place in the world of music, within a spectrum that spans from performer to teacher. Far more, it seems to me, end up close to the teacher end of this spectrum, as teachers who perform occasionally, than as performers who may teach from time to time. Could it be that all these budding teachers are, in reality, as empty handed as I was back then? Are they being taught to play, to perform, but not to do what will possibly occupy most of their working life – to teach? Were their teachers likewise sent forth to find their own way, a generation earlier, in exactly the same manner? And, even more illogically, are many of them, like me, going to attempt to teach young children, who have a very specific set of requirements, distinct from older children, without even having been taught at that age themselves? Fifteen years later, I watched as my daughter learned to play the piano with a Suzuki trained teacher. This experience had the effect of making me re-evaluate my own teaching methods, of questioning many of the assumptions I had worked from over the decades. I saw the self assured young players who flowered under this method, confidently performing to each other and to parents with meticulous attention to tone, to articulation, to posture. This method was achieving better results, earlier, than anything else I had seen or experienced. At that time, as far as I was aware, there was no such thing as ‘Suzuki Recorder’. 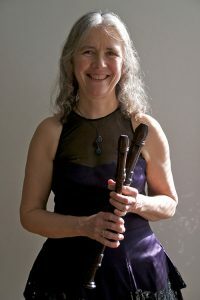 In fact, as I was to find out later, true though this was of the United Kingdom, in the USA, Kathy White had painstakingly developed both a technique and a repertoire for the recorder, and there was a thriving community of Suzuki students and teachers in some places, notably South America. Eventually my curiosity about Suzuki led me to find and contact Kathy, and I was fortunate to be sponsored by the British Suzuki Institute to visit her and to train as a teacher for the first two of the five Suzuki levels. Back in the UK, I set out as Europe’s first Suzuki Recorder Method teacher and began teaching more and more of my own students in this way. I began to discover the potential of the method to teach much younger children than I had previously even been prepared to consider; and far from the ‘empty handedness’ of my early years, I now found myself equipped with an enormous range of absolutely specific and carefully thought out techniques to address every technical and musical hurdle, all within a structure designed to lead a student along a tried and trusted path to maximise their potential musicality. And most inspiringly, every step of this journey stood solidly on a philosophical foundation of love for the emerging young person and for mankind. 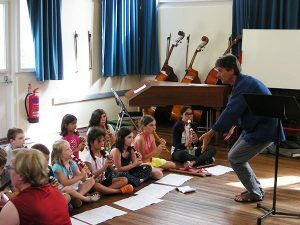 Suzuki saw music, taught with love and care, as an ideal vehicle for young people to find self expression and to establish confidence in their own ability to contribute to life. Amidst the many demands of working life, it took me a decade to complete the five Suzuki levels required to become a fully fledged Suzuki Instructor, although this is a five year process at the very least. And in the last few years I have begun to develop Teacher Training for the earlier levels, attracting students not only from the UK, but from Finland, Belgium, Holland, Germany, Iceland, South Africa and Australia. Currently, I have trained a few teachers as far as Level 3, although most come for the enormous benefits and insights gained in the Level 1 course, which covers all the basics of the technique, gives a grounding in the philosophy, and equips teachers with specific, revolutionary techniques to enable three and a half year olds to begin playing with good tone and articulation. Students taught in this way typically produce a better group tone at age 5 than most are capable of at age 8 to 10, and perform with an unusual degree of self assurance. Now, in my sixties, I am still as passionate as ever about my mission to re-establish the recorder to its rightful place as a ‘proper’ instrument. Sadly it is still all too common for recorder to be taught by people who are not even good players, let alone good teachers! But things have certainly improved, with landmark events such as the 2012 Young Musician Award to Charlotte Barbour-Condini, and groundbreaking performers such as Piers Adams inspiring a new generation of young players to fall in love with the recorder. This article originally appeared in The Recorder Magazine.